Most pictures today never get to be printed anymore because people prefer to store them in digital form instead. But why hide your pictures when you can share your precious moments in a photo book? These picture books can be placed at your coffee table or library where friends and loved ones can easily access them. 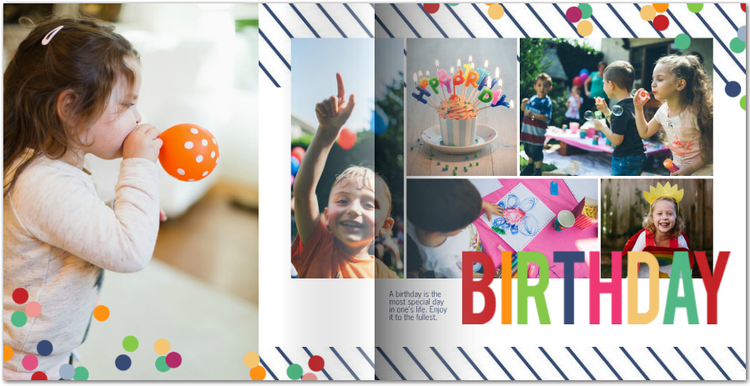 With the help of the best photo book maker around you can easily create a book for every special moment with your loved ones. If that is not reason enough to start printing your photos now, then here is more. 1. Nostalgia. Printed photos may be outdated but they are not extinct. There are still people who keep scrapbooks and photo albums with printed photos in them. These people will tell you that a printed picture offers a different kind of joy compared to its digital form. So why limit yourself to digital pictures when you can experience the nostalgic joy of digital prints? Not just that, you can also share your nostalgia with your loved ones by browsing through your photo books together. 2. More Vivid Memories. Photographs enable people to relive the special moments in their lives. But once you organize a group of pictures, it can help you relive not just the captured moment but everything that happened when the photo was taken. Thus, making your memory of the event more vivid than ever. 3. Photo Preservation. Even in this digital age experts still recommend that you have your photos printed to preserve it. The danger of losing your precious memories are present in both the real world and the digital world. This is because digital files can be corrupted, erased, or even stolen. As such, it would be best to have both printed and digital copies of your photos. Having your precious shots printed in a photo book is a good way to preserve them for the next generation to see. 4. Story Telling. Every captured moment tells its own story. Travel photos often tell stories of fun and adventure while milestones photos are often about love and bond within the family. As such, creating your own photo book enables you to share your stories to others. 5. A photo book is a book for everyone. It may be your pictures on the book but you aren’t the only one who is going to love it. Everyone who cares about you will love the book whether they are in it or not. It’s simply because photo books are often filled with fond memories that is meant to bring good vibes for everyone. Each photo taken during bonding moments and milestones is precious simply because no can turn back time. But what is the use of these photos if you are simply going to leave them in the cloud or your digital storage? Creating your own photo books can be quite simple. All you have to do is take advantage of the photo book services available today and create your own printed albums now.